Hydraulic Equipment Supermarkets are experts when it comes to Monoblock Valves. 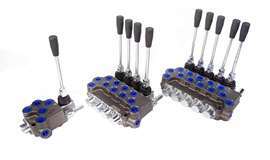 We have been selling hydraulic monoblock valves for decades so know a lot about these valves. Our monoblock valves are made to a high standard, with options of 45lpm or 80lpm (3/8" or 1/2"). Available to buy online are options with one bank, two bank, three bank and four bank. We can also provide five bank and six banks so contact us if you require that option. 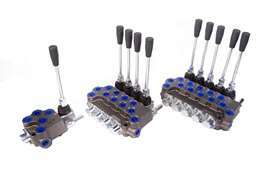 We can also provide monoblock valves with or without carryover port.